The Queensland Government is inviting companies to bid for the right to explore for gas across 6,600 square kilometres of unexplored land south-west of Chinchilla in the Bowen and Surat basins. In making the announcement, Natural Resources, Mines and Energy Minister Dr Anthony Lynham said more than more than 900 km2 of the land earmarked for exploration will be to supply the Australian market only. “A secure domestic gas supply is on everyone’s lips right now, and Queensland continues to do the heavy lifting, releasing more land for exploration and putting the right policy levers in place to encourage investment,” Dr Lynham said. “The provisions the Government has placed on 917 km2 of this land will help with gas security for Australian manufacturers and fuel Australian jobs. This is the fourth release of land for gas for the Australian market. The first release of unexplored land was announced in February 2017 and since than a total of18 000 km2 has been released for gas exploration, with more than a third of it for the domestic market only. 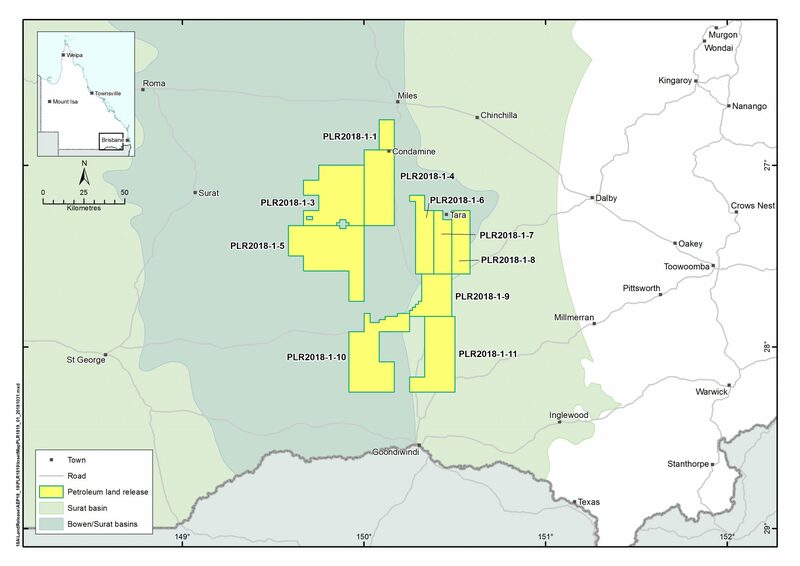 Armour Energy is searching for gas on 318 km2 of the Roma Shelf north of Miles and Surat, whereas Central Petroleum has a deal in place to supply gas from its site near Miles to one of Queensland’s largest manufacturers, Incitec Pivot. Additionally, Senex last week announced the commencement of its Project Atlas in the Surat Basin on the first land the Queensland Government awarded for domestic-only gas production in March 2018. Dr Lynham said the newly released land in the Bowen and Surat basins was perfect for gas exploration given the extensive pipeline and transport infrastructure that is already in place. “Put simply – the land we are opening up today is perfectly placed for companies wanting to hit the ground running,” he added. According to the Minister, tenders close at 2.30 pm (AEST) on 28 February 2019, with successful tenderers to be required to meet stringent environmental, native title and land access requirements before commencing on-ground exploration.